The lineups have been confirmed for the 2011 World Financial Group Continental Cup, presented by Monsanto. The seventh edition of this unique international curling competition takes place January 13-16, 2011 in St. Albert at the Servus Credit Union Place and features teams from North America versus The World in various competitions during the four days – regular Team games, Mixed Doubles, Singles, Mixed Skins and Skins games. Patterned somewhat after golf’s Ryder Cup, each segment awards points for wins (or ties), with the first side to reach 200 points declared the winner. Currently, North America and Team World are knotted at three wins apiece since the inaugural Continental Cup was contested in 2002 in Regina. 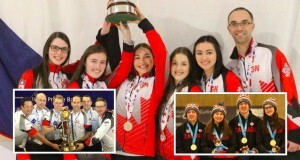 Team North America will be represented by four teams from Canada – skipped by Edmonton’s Kevin Martin and Kevin Koe, Calgary’s Cheryl Bernard and Winnipeg’s Jennifer Jones and two teams from the United States – skipped by Pete Fenson of Bemidji, Minnesota and Erika Brown, who now lives in Oakville, Ontario but is formerly from Madison, Wisconsin. The captain will be Ontario’s Neil Harrison of Pickering, Ontario, a former world champion, while the coach will be three-time Brier and two-time world champion Rick Lang of Thunder Bay, Ontario. Martin, a four-time Brier winner, is the reigning Olympic gold medallist while Koe won the 2010 Capital One world men’s in Italy after upsetting Glenn Howard in last season’s Tim Hortons Brier final. 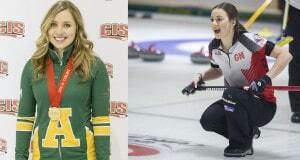 Bernard won a silver medal at the 2010 Olympic Winter Games in Vancouver, while Jones is a four-time Scotties Tournament of Hearts winner and 2008 Ford world women’s champion. Fenson, the 2006 Olympic bronze medallist, and Brown are the current US national champions. Carrying the colours of Team World will be teams skipped by Scotland’s David Murdoch of Lockerbie, Norway’s Thomas Ulsrud of Oslo, Niklas Edin of Karlstad, Sweden, China’s Bingyu Wang of Harbin, Germany’s Andrea Schöpp of Garmisch-Partenkirchen and Switzerland’s Mirjam Ott of Davos. The captain for Team World is 2002 Olympic gold medallist Pål Trulsen of Norway while Sweden’s Peja Lindholm, a three-time world champion, is the coach, the same positions they held when directing Team World to victory at the 2008 Continental Cup in Camrose, Alberta. Ulsrud earned a silver medal at the 2010 Olympics, losing the final to Martin, while Murdoch, a two-time world champion, will be skipping an international team, a Continental Cup first, with Switzerland’s Ralph Stöckli and Simon Strübin at third and lead, respectively, and Germany’s Andreas Lang at second. Wang, the 2010 Olympic bronze medallist, won the 2009 Mount Titlis world women’s; Schöpp is the defending world champion, her second such title, after taking the 2010 Ford world women’s in Swift Current and Ott is a two-time Olympic silver medallist. Edin and Ott both finished fourth at the 2010 Olympics. TSN, the exclusive television network for the CCA’s Season of Champions, will provide exclusive and extensive coverage of the event, which is being sponsored for the first time by World Financial Group. At the inaugural Cup in Regina in 2002, Team North America pulled out an incredible last rock victory when Canada’s Kevin Martin defeated Sweden’s Peja Lindholm in the final men’s Skins game to win 207-193. In 2003, Team World (then Team Europe) turned the tables with a 208-179 victory in Thunder Bay. In 2004 in Medicine Hat, before a record four-day crowd of 42,317, it was North America’s turn again, notching a 228-172 win. The 2006 renewal, staged in Chilliwack, British Columbia, featured all of the medal-winning teams from the 2006 Olympic Winter Games in Turin, Italy, as Team Europe pulled even with a 229-171 victory. In 2007, the Cup returned to Medicine Hat, and once again, North America prevailed, 290-110, this time clinching the Cup in record fashion on Saturday evening, prior to Sunday’s final women’s and men’s Skins games. The 2008 Continental Cup was contested in Camrose, Alberta and won by Team World, 208-192, which evened the series at three victories apiece, as each side continued to prevail in alternate years. In 2005 and 2009, there was no Continental Cup scheduled because of the Tim Hortons Canadian Curling Trials, which qualified Canada’s teams for the Olympic Winter Games. 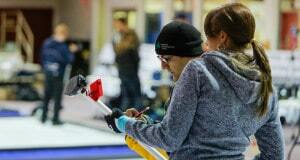 The World Financial Group Continental Cup, which is being staged in a new time slot this year, after previously being conducted in late November or early December, is a joint venture of the Canadian Curling Association, World Curling Federation and United States Curling Association. Previous: The Continental Cup is As Good As it Gets! Next: Around the House: Opening Night!